ESET, the global pioneer in proactive digital protection, has claimed first place among 16 security products tested in the latest AV-Comparatives Anti-Phishing Report, thus securing the “Advanced+” mark. ESET Smart Security has blocked 99 percent of the phishing websites and did not record any false positive alarm. 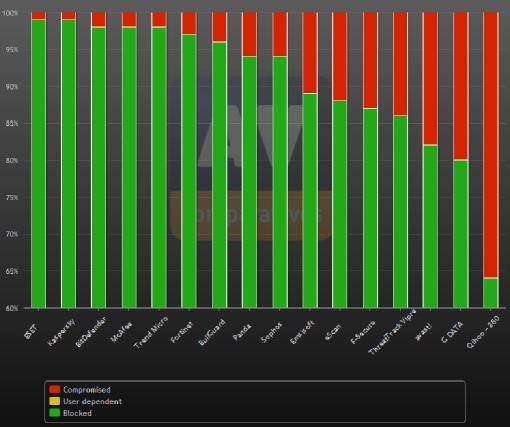 “In the test scenario, AV-Comparatives simulates the common situation where users rely on the anti-phishing protection provided by their security products while browsing the web,” states the report. AV/Comparatives continues: ”The phishing campaigns targeted various types of personal data, including login credentials for PayPal, online banking & credit cards, e-mail accounts, eBay, social networks, online games and other online services”. For the AV-Comparatives’ August 2013 Report, ESET Smart Security 6 was tested, however Version 7 is to be launched in the coming weeks (currently in BETA testing phase). This latest product will offer even more enhanced anti-malware protection and improved system cleaning. Advanced protection includes also improved anti-phishing module. “Phishing has become a real plague utilized by the cyber-criminals to acquire sensitive data using social engineering techniques. At ESET, security of our customers and safe internet browsing always come first and we are glad this is proven by this test,” says Peter Stancik, ESET Security Expert.